If you’re a ŠKODA Motorsport fan and you see the numbers 1-2-3, this year’s fantastic result in WRC 2 will probably spring to mind. Crews Jan Kopecký/Pavel Dresler, Pontus Tidemand/Jonas Andersson and Kalle Rovanperä/Jonne Halttunen took the first three positions of the FIA WRC 2 Championship, conquering the whole podium. For motorsport history enthusiasts, though, another famous story resulting in 1-2-3 victory may pop into their heads. It’s an iconic tale of the “underdog” beating the legend and a triumph of spite and defiance. The place was Le Mans, the “underdog” was the Ford Motor Company and the legend was Ferrari. 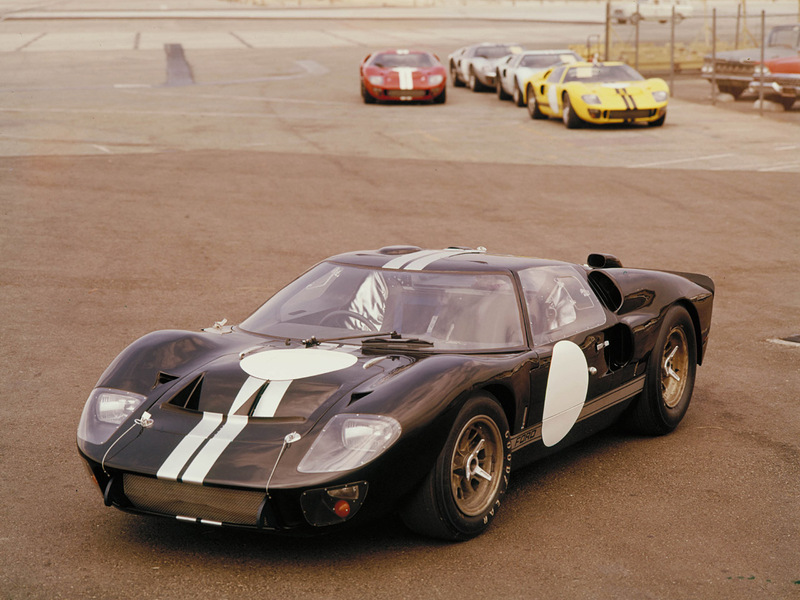 Maybe calling one of the hugest corporations in the world at the time an “underdog” is a little far-fetched, but Ford had almost no experience in the field of endurance racing, while Ferrari was the dominant force in all kinds of circuit racing. It all started in 1963 when Henry Ford II, son of founder Henry Ford and head of the company at the time, found out that a small but already iconic Italian brand might be up for sale. At the time, Ferrari wasn’t like it is today, a luxury brand offering all sorts of comfortable cars for the road. It was all about racing. The production of road cars – which were basically just racecars with a little comfort added – was just a way for the brand’s founder, Enzo Ferrari, to finance his racing activities. For some time, it looked like a match made in heaven. Ford had money and resources, which Ferrari lacked, while Ferrari already had a legendary name that would help tremendously with Ford’s marketing. Enzo hoped that Ford’s money would help him build even better and faster cars, while Ford hoped that Ferrari’s name and racing pedigree would help sell more of their products. Problems arose when Enzo Ferrari found out that he wouldn’t be given a free hand with his racing programmes and that Ford’s accountants would be telling him how much money he could spend. At the last moment, he backed out of the deal, sending the Ford people back to Detroit. Henry Ford II was furious. In the same way that Enzo Ferrari loved his independence, Ford hated being rejected. Since he couldn’t buy Ferrari, he decided to do the next best thing: build a better racecar than Enzo and humiliate him on the racetrack. The most famous race in the world, 24h Le Mans, was selected as the battleground. Ferrari had already won four titles in a row there. 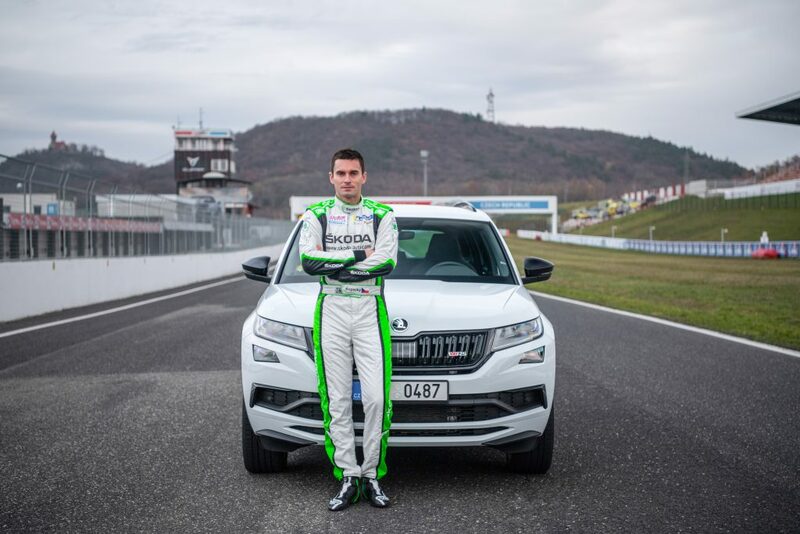 The only problem was that building a world-beating racecar is no easy thing (as ŠKODA Motorsport knows very well). Ford engineers had ample experience with road cars, but almost none with racing – so the task went to a small company called Lola. Legendary racer Carroll Shelby, famous for his racing Shelby Cobras and already working on the Ford Mustang Shelby GT350, was selected to lead the project. Even with all that experience brought on board, the project was difficult. The first Ford GT40, based on Lola Mk 6 and powered by a 289 cubic inch (4.7-litre) V8 engine from Ford Fairlane, was pretty and sleek (the name came from the height of 40 inches, or about a metre), but not very reliable. 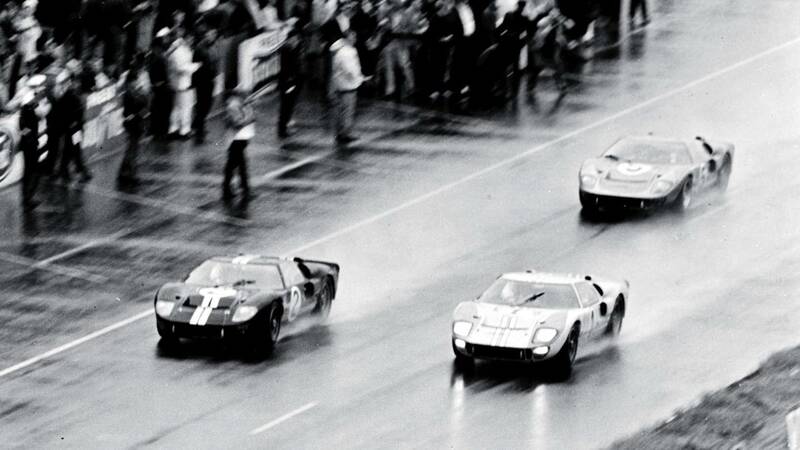 In 1964, none of the three cars entered into the 24h Le Mans finished the race. Shelby’s response was typically Texan. He ordered the “tiny” 4.7-litre engines out of the cars and replaced them with gargantuan 7-litre big blocks. Results came immediately, in the form of victory at 24h Daytona, but the bad luck at Le Mans continued. The team took six cars to Le Mans for the 1965 24-hour-race – and once again, not a single one managed to finish. In the true American spirit of “the more, the better”, Ford brought EIGHT cars for the next year, but the reliability problems continued. Five of them had to retire during the gruelling 24 hour endurance race. Still, there was a bright side to it. The remaining three crossed the finish line in first, second and third place. The team even staged a photo finish, with the first two cars deliberately crossing the line side-by-side. This caused quite a bit of controversy, as the result, instead of the originally planned “dead heat”, meant that car number 2, driven by Bruce McLaren and Chris Amon, took the overall victory instead of car number 1, driven by Ken Miles and Denny Hulme. Race officials decided that since McLaren and Amon started from third place at the grid, they had travelled a longer distance and therefore won the race. Miles, who was leading up to that point, was understandably upset – but racing is sometimes like that. It was also the end of Ford’s Le Mans programme. The brand came back in 1967 and claimed another victory, but then pulled out of endurance racing altogether. The job was done, Ferrari was beaten and for Henry Ford II, there was no point in continuing. 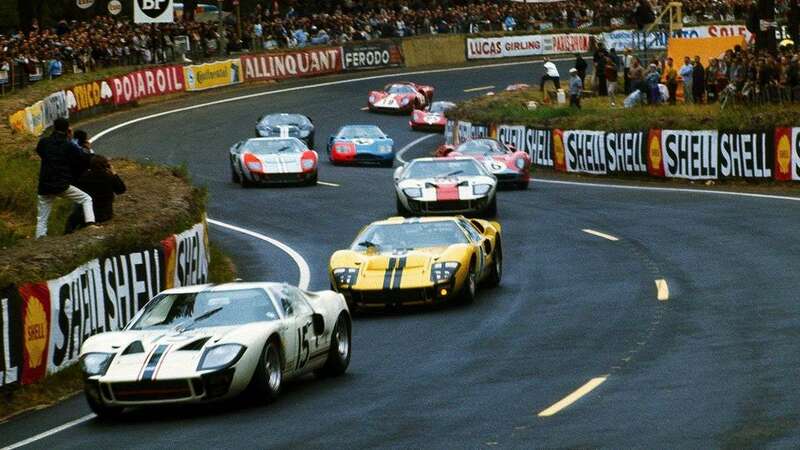 Instead, Porsche took Ford’s place at the top and the big battles in the following years were waged between Porsches and Ferraris, as depicted in the iconic 1971 movie Le Mans.